After the demise of Air Berlin, forced by Lufthansa and incompetent if not corrupt politicians, we lost Monarch last fall, but the dying continues. This months we’ve been all “shocked” by the demise of Azur Air (Germany), Small Planet Airlines (Germany) and now Primera Air. Interesting: None of those airlines had any relevant material assets. Working with leased aircraft as most airlines do today, it minimizes the cash-flow. And aircraft are almost not available for purchase, large aircraft leasing companies and the largest airlines dominating the market. No, neither Primera, nor Air Berlin “owned” aircraft. They were all leased. Whereas Air Berlin struggled, there was an inherited business model that even ambitious CEOs could not overcome. What was Air Berlin? A holiday charter airline? A low cost airline? A network carrier? While Air Berlin tried to be all of that, they failed to be either “properly”. In a competitive, over-saturated market a death sentense. Now all those airlines have operated Airbus A320 and/or Boeing 737. An aircraft in surplus, a saturated market, flooded not only by the aircraft makers but also by lease offers from the low-cost airlines seeking utilization for their own surplus. And while everyone wants aircraft in summer, the eroding revenues do not pay enough for those airlines to survive the winter. I learned so long ago, an ice cream shop needs to create enough revenue to survive the winter. And while aircraft lessors add more and more Airbus 320 and Boeing 737 to their fleets, airlines are established without a long-term concept based on clear USPs, those airlines lease the aircraft out in summer and … oops. And then they go broke and the aircraft lessors sit suddenly on their assets without income. Even scheduled airlines like Volotea ground their aircraft in winter. Even if the airline operates successful, after usually seven years, their leasing contracts expire. And then they understand the need to invest into more modern aircraft, so they do not extend the leasing contract but return the aircraft to the lessors. Who now need to find “other markets” to take their aircraft… Often below cost to minimize the losses! In consequence, the aircraft financial funds are known to suffer from year 7, often generating losses over their typical 10-year duration. KPMG earlier this year said the average return on aircraft fund are 4%. While some do better, many smaller ones fault. Another consequence is deteriorating market value for Airbus and 737 aircraft, also usually starting seven years after the aircraft is sold into the markets. So one of the reason for failure is the attempt to compete in a shark pond, using the same aircraft than the competitors, copying their business model and trying to find a small niche – that upon success is quickly threatened by the big fish. 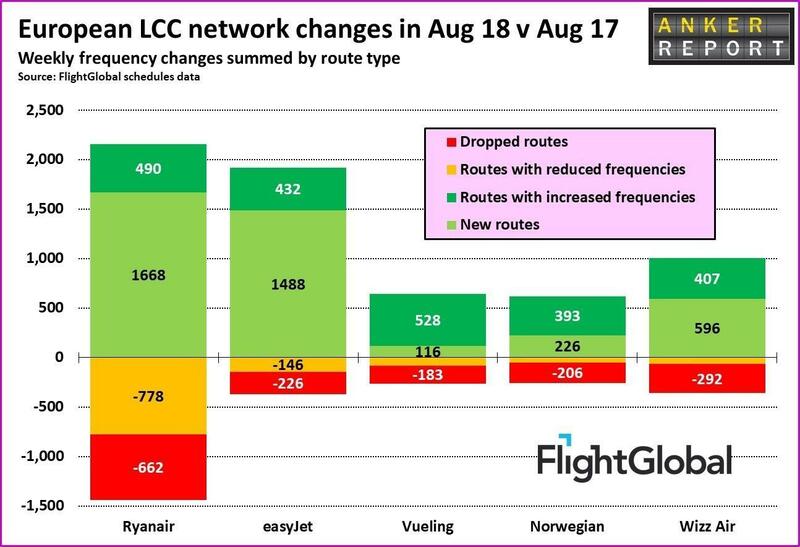 Primera Air as the most recent failure tried to convert “in a rush” from a safe holiday charter airline operating secure routes for Primera Travel Group, into an – as aero.de said – copy of Norwegian, flying with the smaller A321neoLR across the Atlantic. But also trying to fly a mixed fleet of A321neo and Boeing 737-800, while having orders out for two A321neoLR and 18 Boeing 737 Max 9. As small newcomers do have problem getting access to the new aircraft like the A321neoLR, of which most go to the largest aircraft leasing companies to be placed into the existing fleets of their large (safe) airline customers. Why would they prioritize newcomers that threaten their existing clients they have long, very long relations with? But which “newcomer” airline can wait for 10 years (at current production rates) for an Airbus or Boeing they order??? Can you plan what is in 10 years? Then we come to the flight crews. While pilots usually are either type-rated on the Airbus A320-family or Boeing 737-family, a mixed Boeing/Airbus-fleet either requires respective crews for each aircraft or the cross type-rating. While pilots usually pay for their flight training, in return, they require high salaries in order to pay off for their – substantial – investment. Even Ryanair now faces the consequences of their “outsourcing” and slave-kind payments of their pilots. While I keep seeing their pilots recruiters immediately jumping on Primera Air but also trying to convince pilots from South America or Asia, if they don’t change their attitude to their pilots, they will keep having problems. Their recent announcement to close the base in Bremen and Eindhoven and reduce the base in Weeze are simply puffing. As Ralph Anker showed in his Anker Report. Behind each and every dropped route or base are airports, suddenly deprived from services. And pilots and crews, suddenly forced to find work elsewhere, likely move. Ryanair is the airline that does not care. Europe’s favorite airline? I doubt. Summarizing, I come back to the point I keep emphasizing. Ever since easyJet (1995) and Wizzair (2003) I have not seen a new airline that had a USP and a clear concept. What is your USP? For the investor, the traveler and yourself? Or are you just another copy, trying to cash in? I believe A320 and B737 families will hit a brick wall. Investing in those aircraft or airline models trying to operate a few of them is high risk. At best. Side note: Taking all those “natural thoughts” into account, in a team of experts we’ve developed a business model, that now seeks funding. With a unique concept, multiple USPs and under- if not unserved markets. But that does not work with small money. If you want to do it right and lasting, you need to do it right. And invest. Not just building “an airline”, but focusing on development of assets, as a side-effect securing the returns on the investment. If you know potentially interested investors, let me know and I’ll establish the contact to Kolibri. Or refer them to my call for investors. Wow Air (Iceland, 17 A320-family, 3x A330) to be acquired by icelandair. Cobalt Air (Cyprus, 6 A319/A320) returns the Heathrow-Slot to Virgin (09.Nov.2018). Goodbye. Two more victims to the above mentioned approach. If you want to invest into a sound, asset secured business, look at KOLIBRI.aero. Welcome to talk to me about it.